Sushi anyone? 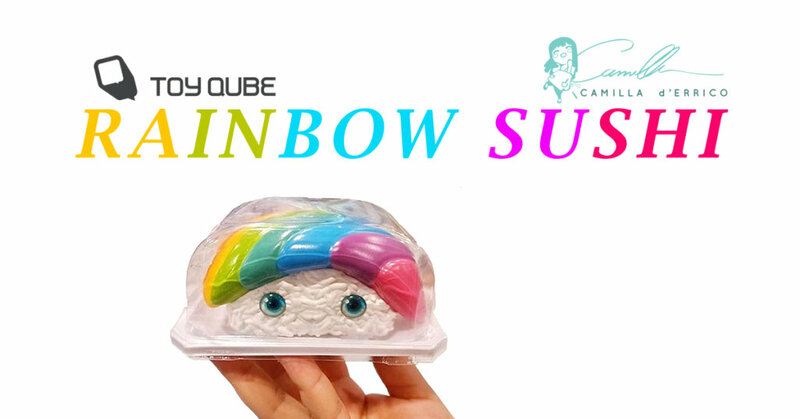 Rainbow loving artist Camilla d’Errico designed a Rainbow Sushi sofubi toy! Just in time for the holidays Camilla d’Errico will be doing a limited release of Rainbow Sushi on her Etsy shop before the full launch in 2019. He’s looking delicious! Made out of soft vinyl with cute little glass eyes. Camilla worked on this project in collaboration with Toycube. See our previous article HERE. Rainbow Sushi will be available at Camilla’s shop on December 14th at 9amPST/12pmEST/5pmBST. There are going to be 100 pieces available at Camilla’s shop and 100 pieces at Toy Cube’s store. Want to know more about Camilla’s work? Follow Camilla d’Errico on Instagram.